Now then, early next week the store will be updated with a number of restock t-shirts including Northern Soul, Madness, Acid Casuals, Acid Ramblers, 3-Tone and Bowie Low. 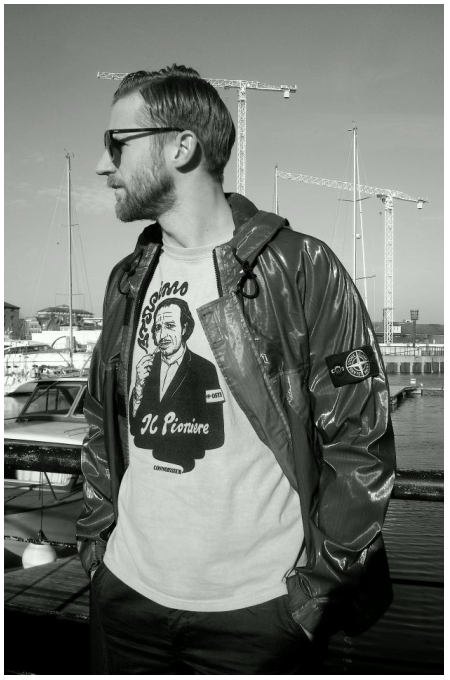 ALSO NEXT WEEK finally the Massimo Osti tribute tee will be going online. This tee features a colour changing heat reactive tee (incase you didn't know) which is available over several colours in limited numbers and also on standard monochrome Black print on White tee. COMING SOON... We Shall soon be taking delivery of the Resistance Smock. Okay then, Monday night. 8pm and 9pm (UK time) sees the final release of our bobble hats for this winter. The two specials, which as you ought to know by now are based on a couple of famous floors from cinema. The last chance to pick up the hat's that have gone a bit bonkers, which given the theme is quite perfectly appropriate! The Overlook at 8pm. Then in the interest of fairness to everyone the Black Lodge an hour later at 9pm. Now then, it's not often we'll plug a t-shirt that's not one of our own, but stop and listen a second... Firstly it's a tee done by our illustrator mukka Mr O'Toole and secondly and rather importantly it's for a good cause! Xpress, directed by Manchester based Quenched Music, is a creative cross platform project to raise awareness of suicide prevention charity, CALM. 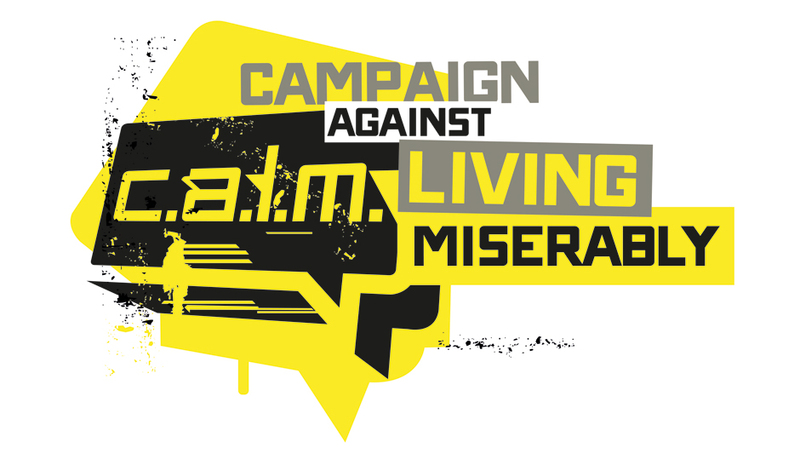 The Campaign Against Living Miserably and to encourage men to express themselves through the creative arts. 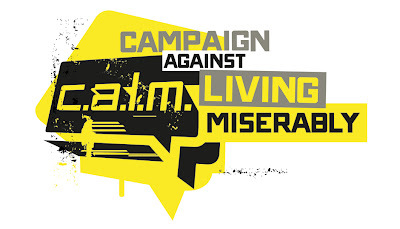 CALM (Registered Charity 1110621) was established in 1997, with help from industry legend Tony Wilson, to tackle the issue of male suicide, currently the single biggest killer of men under 35 in the UK. You can check out the project at Xpress Official and if you're feeling generous, support the crowd funding campaign at INDIE GOGO with a donation. This will go towards making the physical album reality, from which all profit goes directly to CALM. Dance At My Party. One of the original tees we did when we first started out 'this thing of ours' and one that did well enough to help this little brand on our way was our tribute to one of our favourite films; a back to the drawing board retort from Shane Meadows who'd become disillusoned with the studio interference on his last film that he went back to basics with Dead Mans Shoes. Working closely with his friend and actor Paddy Considine the result was a superb film that quickly gathered a cult following. In 2006 we released a homage "Dance at My Party", some years later we decided a reinterpretation was the order of the day and regular cohort and friend Peter O'Toole was charged with the task of creating a fresh take on the original. Let me introduce you to a new musical discovery, Violet Class. 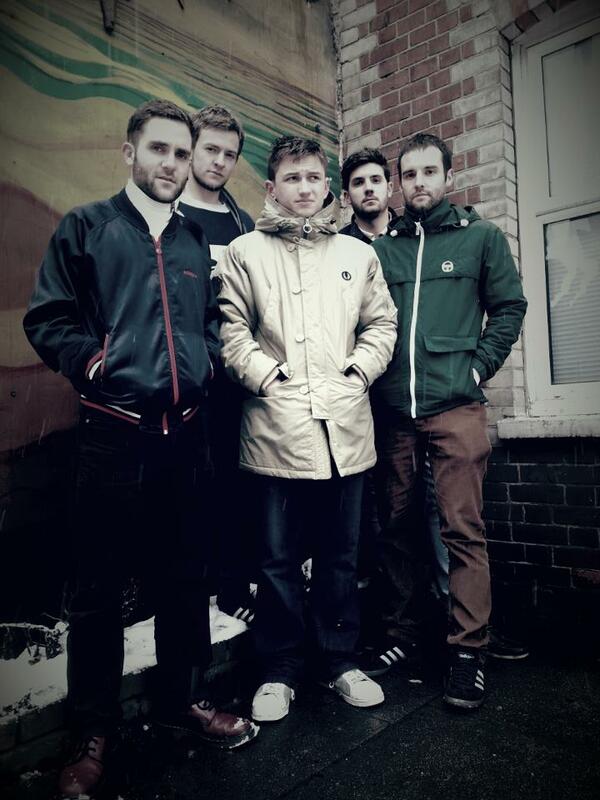 The young Reading five-piece have been around just under a year and certainly take influence from the casuals movement. 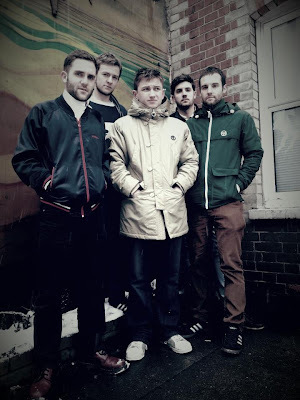 Clobbered out in old retro casuals gear and writing songs influenced from days at football the band seem to be successfully combining the buzz of football and music. Although this gladly isn’t where the influences stop. 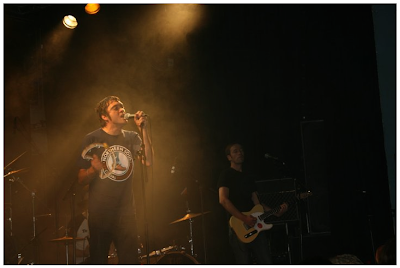 The band have mastered a sound which is based on their child and teenage heroes of the 90s Britpop/Shoegaze era of the Stone Roses, Ride, The La’s, and Oasis. This has been backed by the likes of Stephen Street describing their tune ‘Six Penny Stop’ containing ‘shades of the Stone Roses’. But it is important to note the sound maintains a modern twist on their influences and it may appear they may offer something very different to what is currently on offer. Their most notorious gig to date was supporting heroes Inspiral Carpets at Sub 89, Reading and despite even Clint Boon championing the band on the night the band unfortunately enjoyed themselves too much leading to a life time ban from the venue. Despite this they have pulled off gigs at Roman Ambrovich’s nightclub and played for ex ICF member Cass Pennant at The Garage, London in support of his recent Casuals film. The band is currently planning a gig at Mountain Ash, Wales with Tony Rivers, ex member and author of the Soul Crew book and is combining to put a night on in tribute to ex Reading and Cardiff legend Robin Friday. It is the Reading roots that the bands sells itself on but there is a certainly a punk soul attitude strongly assembled in their makeup reminiscent of the man himself. Their tune Reading FC signature tune ‘Biscuitmen’ has gone down rather well and can be currently caught on BBC Berkshire’s live match day coverage of Reading FC. What begs the question is whether they will follow in the footsteps of their idol and be able to showcase their talent on the big stage which unfortunately Mr Friday was unable to do. But one thing for sure is that the band firmly intends to continue push the boundaries and live their lives to the full. Now then, after what seems like an age (a couple of months) This week we should finally receive full size quotas of our next new tee releases: Dance At My Party, Curva's Connoisseur and the Massimo Osti homage which comes on the special heat changing colour magic tees and for the less zesty a nice monochrome version. The plan is to get the stock online as soon as we get them, with the Dead Man's Shoes tee and Curva collabo likely to be first online later this week! Given we've had approximately 100,007 emails about the last run of those Overlook and Black Lodge hats and just when they'll be online again - it makes sense to stick a little update up on here. As stated the hats are due with us early-mid Feb and they're on course for an imminent arrival. You'll be updated with advance warning of a date and time. Recently received a copy of the Northern Monkeys book by our pal and some time roving reporter (on here) Bill Routledge. A rather heavyweight book featuring many nostalgic tales and turns of the origins of casual street style and youth cults via skins, scooter boys and soulies. All told from a Northern angle. With a passionate and honest collection of tales (and photos) from Bill himself and familiar names such as Phil Thornton, Cass Pennant and Ian Hough, this is the untold chronicle of working class street fashion - real people's history.